Over the weekend Mark turned 41, and we decided to celebrate with friends in Seattle. I’m always torn on going up to Seattle, it’s just far enough that it’s not easy, parking is an issue, and it’s a long drive home if you stay out too late. But, sometimes it’s just worth it…Seattle offers things that we just don’t have in Tacoma. 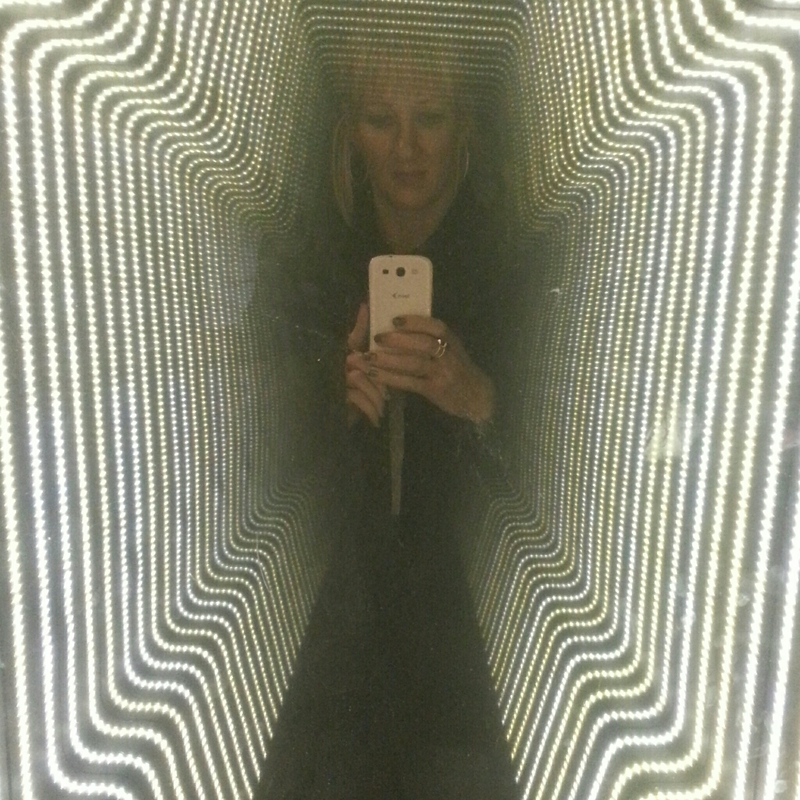 Having fun in the Sci-Fi exhibit. One of those things being the Experience Music Project (EMP). We’ve had tickets for a while, and they expired the end of the year, so it was now or never….once Holiday’s roll around forget about it! The building itself is amazing, and the permanent installments are impressive. It’s a music lovers dream really, but has a healthy dose of pop culture thrown in as well. In addition to the music related stuff there were exhibits about video games, horror , sci-fi, and fantasy movies. Plenty of interactive things to do as well, especially in the sound lab. I have zero musical ability so the sound lab wasn’t all that exciting to me, but I can see how it would be fun for those that are so inclined. 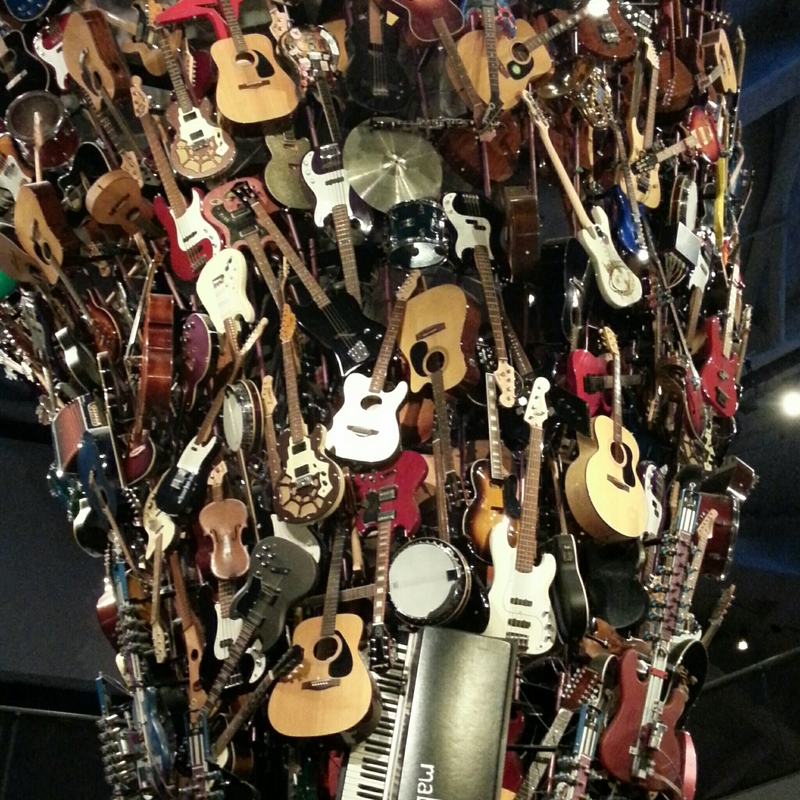 Floor to ceiling guitars (for the most part)….hard to get a good perspective shot. Really it was just nice to be out, just the two of us, not worrying about where Sky is running off to, or if she’s bored. I love her to death, but adult time is needed every now and then! 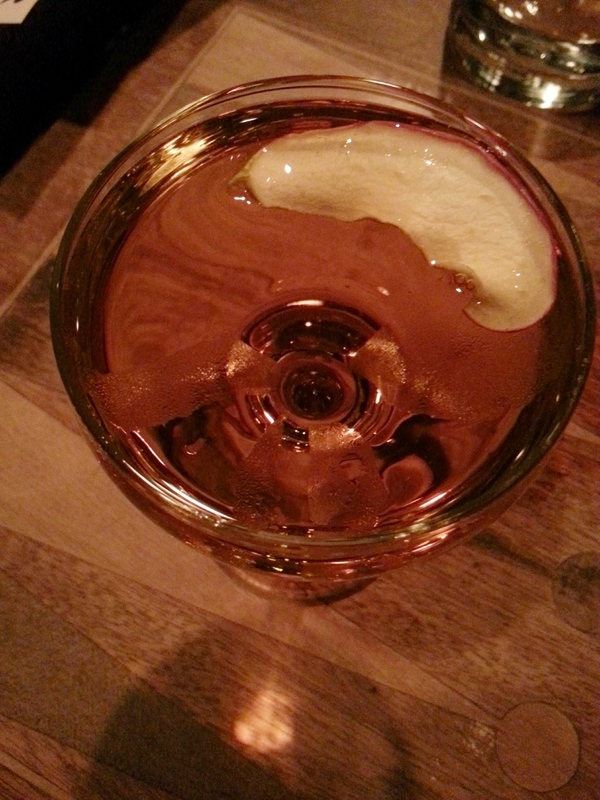 After that we met up with friends at Capitol Cider for dinner. It’s been on our list of places to visit in Seattle because Mark can drink cider, and the menu is 100% gluten free, with some dairy free options as well. It’s the perfect place for us…although it’s not nut free, so those with nut allergies watch out. Flight #1…flights are the way to go to try a little of everything. 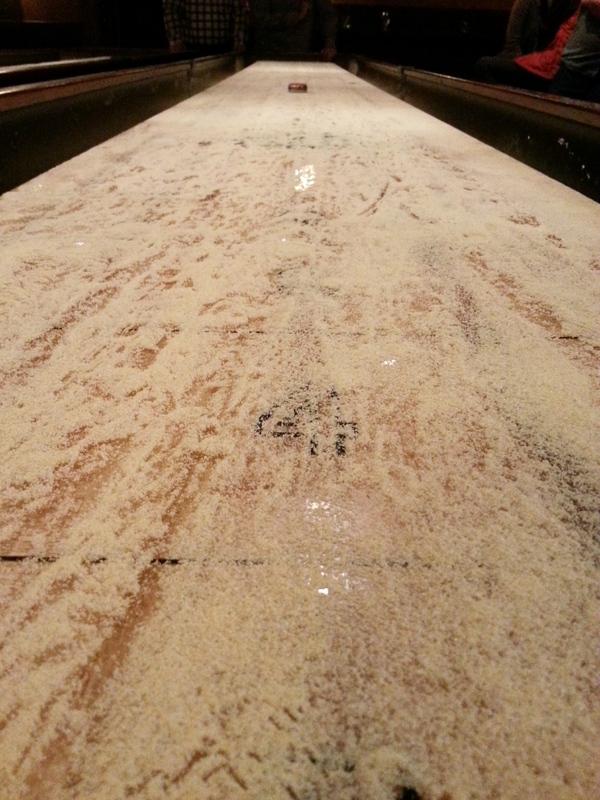 It’s a super chill vibe, lot’s of board/card games for people to play…and shuffle board! You have to be on it though to play. We waited and watched until one of the table freed up and then jumped on it! My one drink for the night, super yummy mix of all things apple. All the food was amazing, everyone was happy with what they ordered, and the cider…don’t even get me started. 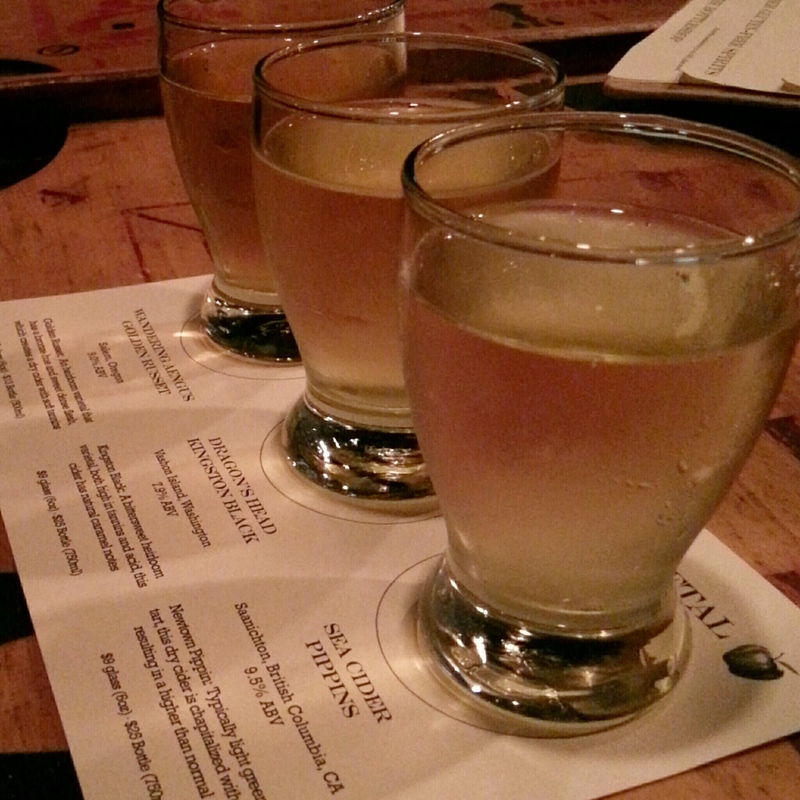 I didn’t drink much (was the driver) but the cider list is long and varied, and what I did try was really good. Such a wide variety of ciders out there, I’m glad it’s becoming more well known since beer isn’t an options for some. 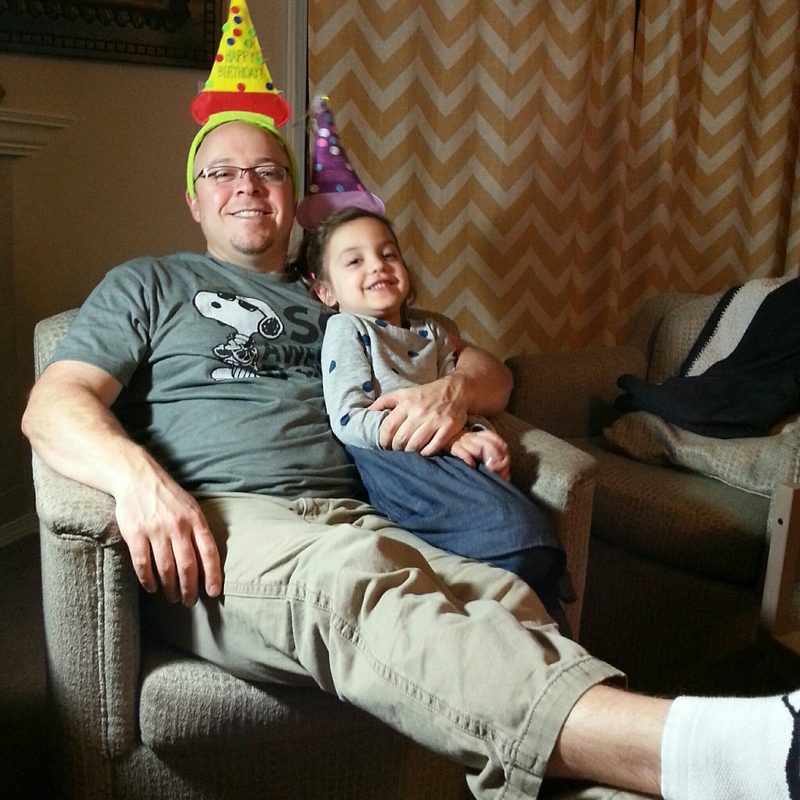 Sunday was Sky’s birthday party for Daddy. She insisted the house be decorated, there be cake, balloons, and party hats. She does love to party! She must have sung him happy birthday 10 times, and was jumping up and down with excitement all day long for his birthday! Here’s to 41 and another year of fun and adventure. Love you babe!